Our goal is to connect people with the best local experts. We scored carpet cleaners on more than 25 variables across five categories, and analysed the results to give you a hand-picked list of the best carpet cleaners in Louisville, KY.
7 Pillars is a carpet and upholstery cleaning service that has been serving Louisville, KY, and the surrounding areas since 1981. In addition to carpet and upholstery cleaning, 7 Pillars also provides ceramic tile and grout cleaning, air duct inspection, and air duct cleaning for commercial and home properties. They clean a variety of surfaces and areas, including gutters, dryer vents, hardwood floors, leather, and rugs. They will move furniture and vacuum at no additional cost and offer money back guarantees on their pet odor and stain removal. They accept coupons from cleaning competitors and offer same or next day service, which includes a follow-up call from a staff member. Absolute Carpet & Upholstery Cleaning LLC is a family-owned carpet cleaning business offering services in the Louisville, Jeffersontown and St. Matthews areas. Commercial and residential clients can hire the professional technicians for carpet cleaning, upholstery cleaning, oriental rug cleaning and restoration, water damage restoration, and organic carpet cleaning. All work performed by Absolute Carpet & Upholstery Cleaning comes with a one hundred percent satisfaction guarantee. Free consultations and 24-hour emergency service is available. Advanced Carpet Cleaning is a family owned and operated business providing carpet and upholstery cleaning services to the Louisville area and beyond. With nearly sixty years of combined industry experience, residential and commercial customers can expect safe and efficient methods of cleaning with a one hundred percent satisfaction guarantee. The business is fully licensed, bonded, and insured. Free estimates are available, and discount coupons are listed online. All Quality Services Inc. has been servicing the Louisville area for over twenty years with professional, reliable cleaning services. They are fully licensed, insured, and integrate continuing education to stay in line with current industry standards. Cleaning services include carpet, upholstery, ceramic tile, vinyl, air ducts, and dryer vents. All work begins with a free estimate and is backed by a satisfaction guarantee. All Quality Services Inc. offers a ten percent for all teachers, senior citizens, military, and first responders. With over twenty years of experience, All-Timate Cleaning Pros LLC have been providing residential and commercial clients with professional carpet cleaning services. Servicing the Lousiville area and beyond, all technicians are licensed, bonded, and available for same day and emergency appointments. Cleaning services extend to include carpets, air ducts, pet stains and odor removal, and automobiles. Founded by Dan Boston over thirty-five years ago, Boston Carpet and Airduct Cleaning offers residents of Louisville and Southern Indiana carpet cleaning, air duct cleaning, tile cleaning, and water restoration. Carpets are cleaned using green chemicals, hot water extraction, and backed up with a one hundred percent satisfaction guarantee. All technicians are certified, and twenty-four-hour emergency service is available. Discount savings are listed online. Cardinal Care Floor & Upholstery Cleaning is a fully insured cleaning company offering services to residential and commercial customers in the greater Louisville area and beyond. Cleaning services provided include carpet, upholstery, hardwood, tile and grout, stone, and water damage. All carpet cleaning is performed using a truck mounted steam cleaning system for optimal results and includes a satisfaction guarantee. Free estimates and online discounts are available. Carpet Cleaning Pros offer reliable and thorough carpet cleaning to residents in Louisville, Brandonburg, Charlestown, Clarksville, Elizabethtown, Frankfort, Jeffersonville, Leavenworth, Shelbyville, and Starlight. With the use of environmentally sound products and industrial equipment, the company stands behind their work with a one hundred percent satisfaction guarantee. They have experience with various kinds of floor coverings and are experts at stain removal. Same day service, emergency service, and free estimates are available. 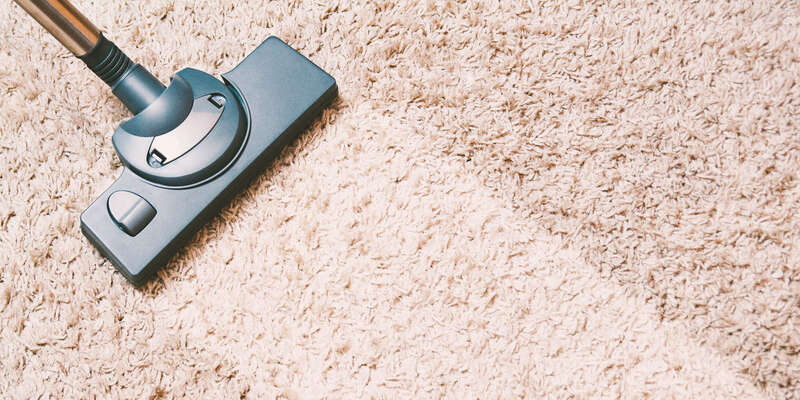 Over the last twenty years, Deluxe Carpet and Duct Cleaning has provided carpet cleaning services for residential and commercial clients in the Lousiville area. Hot water extraction is used to thoroughly clean all carpets and any chemicals utitlized are non-toxic. Several packages are available depending upon the type of clean desired. Technicians are drug tested, bonded, insured, and verified by a complete background check. Same day appointments, emergency service, and discounts are available. Additional services include leather cleaning, air duct cleaning and sanitizing, pet odor removal, and oriental and upholstery cleaning. Gold Seal Floor Services serves Kentuckiana, Kentucky, and the surrounding areas. The family-owned company is insured, bonded, and committed to diligent, quality service. With more than 15 years of experience, Gold Seal Floor Services and its employees offer quality floor care, including commercial, industrial, and residential stripping, waxing, buffering, carpet cleaning, and wood floor refinishing. They are equipped to handle the biggest and smallest jobs. They offer free estimates on regular maintenance services and one-time cleanings. Their clients speak highly of their timeliness and commitment to staying on schedule. People compliment their professionalism and pleasantness in their dealings with people. Founded in 2005, Grand Finale Cleaning Inc. is a full service cleaning operation offering cleaning services to residential, commercial, and real estate customers in the Louisville area and beyond. Cleanings can be tailored to specific needs and timelines. Custom carpet cleaning is executed utilizing the Rotovac 360i, which uses rotating vacuum heads to deep clean carpets. The firm is fully licensed, bonded, and insured. Free estimates are available, and the opportunity to save thirty-five dollars is possible through the referral program listed online. Herr Carpet Cleaning is a professional carpet cleaning company located in Louisville, Kentucky that serves clients in the wider local metropolitan area. The company was founded in 2009 by owner Lynn Herr, who has more than two decades of experience in the professional cleaning industry. Herr Carpet Cleaning accepts both residential and commercial projects and offers prospective clients a free estimate on its services. Such services include carpet and upholstery cleaning, drapery cleaning, truck-mounted steam cleaning, Scotchgard applications, furniture cleanings, and cleaning services for car and boat interiors. Herr Carpet Cleaning can be contacted by phone for booking purposes and free estimates. Kentuckiana Carpet and Upholstery Cleaning LLC is a residential and commercial cleaning company that has operated in the Louisville area for more than 17 years. They are proud to be rated A+ by the Better Business Bureau and to have received the Super Service Award from Angie’s List in 2013. Kentuckiana Carpet and Upholstery Cleaning LLC provides free quotes to potential customers and has received positive customer feedback for its efficiency and friendliness. They offer water damage restorative services and can help customers dry out their basements. Kentuckiana Carpet and Upholstery Cleaning LLC also services parts of Indiana and more than 50 towns in the Greater Louisville area. Since 2005, Louisville Carpet Cleaning and Flood Restoration has been providing residential and commercial customers with carpet cleaning services in the Louisville area and beyond. They use a ten-step cleaning process using state of the art equipment incorporating non-toxic cleaning. All products are biodegradable and safe for pets and children. The process ensures thoroughly clean carpets with one hundred percent success targeting stains, smells, and mold/mildew removal. Emergency service is available twenty-four hours a day, seven days a week. Metro Carpet Medic is a Louisville company that specializes in steam carpet cleaning, oriental rug care, pet stain removal, and odor removal, as well as upholstery cleaning and restoration. The owner of Metro Carpet Medic has almost 30 years of carpet cleaning experience, and the technicians here have undergone professional training and extensive background checks. The company uses traditional hot water/steam extraction methods as well as a truck-mounted Rotovac system to ensure excellent results for carpets. Its cleaning processes also include pre-spray and spot treatments, commercial vacuuming, deodorizer application, and speed drying. Customers can opt for stain and carpet protection if they so wish. Metro Carpet Medic is employed by residents and businesses throughout the Louisville, Kentuckiana region -- its service area encompasses Crestwood, Lagrange, Hillview, Middletown, Matthews, Fern Creek, Goshen, Washington, Prospect, Jeffersonville, New Albany, and Clarksville. Red Carpet Care is a family owned business offering cleaning services to the greater Louisville area. Residential and commercial customers can hire them for duct cleaning, pet odor removal, water damage repair, crime scene cleaning, upholstery cleaning, and carpet cleaning-installation-repair needs. Carpet cleaning is executed with a patent pending Vortex Amplifier Vacuum System invented by the co-owner of Red Carpet Care. Rodriguez Cleaning Services is a locally owned and operated cleaning company providing services to the residential and commercial customers in Louisville since 2012. Technicians use eco-friendly cleaning solutions and high-tech cleaning equipment to provide thorough cleaning results. They offer a one hundred percent satisfaction guarantee on all work. Emergency service and free estimates are available upon request. Stat Carpet Cleaning takes pride in being fully certified by the Institute of Inspection, Cleaning, and Restoration as well as by being a business which is licensed, bonded, and insured for their customers. Their employees specialize in the interior cleaning of carpets, upholstery, tile and grout, vinyl flooring, and mattresses. Customers can also request spot and stain removal and are encouraged to ask about the pet enzyme treating service if they own animals. Stat Carpet Cleaning offers flat rates for services based on the number of rooms which need attention and the size of the project. Clients can receive free cost estimates via the phone or in person if they explain the type of project. The company works with individuals in Louisville and the nearby area.